BRANTHO-KORRUX 3in1 is a coating that provides superior corrosion protection. Primer and top coat in one. 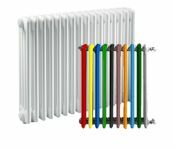 All colour varieties of BRANTHO-KORRUX 3in1 are heat-resistant up to + 200° C, RAL 9006 is heat-resistant up to + 250° C and RAL 3009 up to + 300° C. BRANTHO-KORRUX 3in1 can be employed universally for iron, steel, metals, non-ferrous metals, zinc and paintable plastics. It has very good adhesion even on glass. 3in1 is used on cars and other vehicles for the underbody, chassis, wheel cases and axes. For priming of car bodies use BRANTHO-KORRUX 2-KOMPO or NITROFEST. 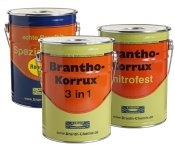 BRANTHO-KORRUX 3in1 is available in 750 ml cans and 5 litre buckets, some varieties are also available in spray can. BRANTHO-KORRUX NITROFEST can be used as well as primer and as finish. It is even applicable as filler. Universal use on steel, iron, metal, non-ferrous metals and zinc coating. 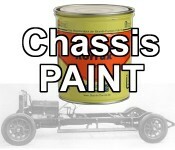 Also ideal as primer for cars bodies. NITROFEST does not need any finish. Its surface is matt. If you want to get a glossy finish you may apply as final coat upon NITROFEST either BRANTH's KRISTALL GLASUR = Clear Topcoat or paint with our coloured topcoats ROBUST LACK or S-GLASUR. It is also possible to apply 2comp. coatings as final layer. QUICK HARDENER is designed for use with BRANTH's ROBUST LACK, S-GLASUR and KRISTALL GLASUR. 3in1 HARDENER is exclusively for use with BRANTHO-KORRUX 3in1. Some nuances of 3in1 however have to be processed with QUICK HARDENER. Please note the instructions in the article descriptions of the hardener and the 3in1 shades! SLIDE STOP is a granulate, which is added to coatings to create a non-slip surface in order to prevent slipping on accessible, painted surfaces, e.g. on ship's deck. GLOSS ADDITIVE increases the gloss of BRANTHO-KORRUX 3in1. 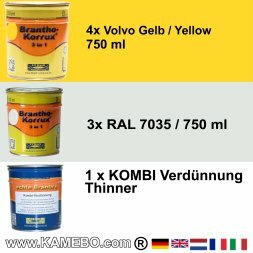 BRANTHO-KORRUX 2-KOMPO is ideal as primer, filler and protective coating for modern trucks and other commercial vehicles. It adheres to all metals, non-ferrous metals, zinc, and composite materials. 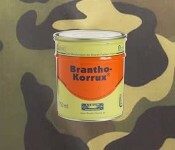 You save your money and time, bexause you only need BRANTHO-KORRUX 2-KOMPO, no washprimer will be necessary. BRANTHO-KORRUX 2-KOMPO can be used for all components made from metal and for machines, such as machine tools. BRANTHO-KORRUX 2-KOMPO is resistant to hydraulic oil and can be used for the coating of transmission gears, inside and outside. BRANTH's MINIUM lead-free generates very high layer thickness for excellent corrosion protection. Your expenses for coatings and paint will be reduced, if you for example first apply a thick layer of BRANTH's MINIUM and then use BRANTHO-KORRUX 3in1 for the second layer. BRANTH's HGS Special Bonding Primer increases the outstanding adherence of BRANTHO-KORRUX 3in1, NITROFEST and 2-KOMPO on galvanised steel and paintable rigid plastics. 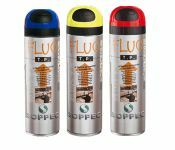 Can also be used in order to improve the adherence of other manufacturer's paint with insufficient adherence on plastics or galvanised iron. BRANTH's KRISTALL GLASUR Clear Topcoat is heat resistant up to + 200° C. BRANTH's 2K M Brass Protection 2comp. clear topcoat originally has been produced for brass plates and adheres perfectly even on chrome, chrome-plated parts and stainless steel. BRANTH's 2K M Brass Protection is extremely scratch resistant and thus an optimal coating for railings, stairs, also for paintings in sectors like bistros, restaurants, hotels, where building components made of stainless steel should look as new for decades. 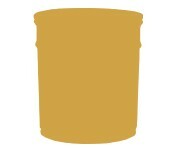 BRANTH's ROBUST LACK Gloss Finish Paint is an elastic coating. Very well suited to paint over the semi-gloss BRANTHO-KORRUX 3in1 to get more gloss. Can be used also without primer on metals with few corrosion impacts. Suitable also for painting of wood. ROBUST LACK is heat resistant up to + 200° C.
BRANTH's S-GLASUR is a high-gloss, very scratch-resistant coating. Optimal coating for cars, trucks and others vehicles, because S-GLASUR is much more scratch-resistant than most of customary car finish. Suitable also for all other components and workpieces made of steel and metal, when a high-gloss painted surface is wanted. Optimal primers for S-GLASUR are BRANTHO-KORRUX NITROFEST and 2-KOMPO. S-GLASUR is up to + 200° C heat-resistant. This coatings are heat resistant up to + 200° C (Clear paint 120° C). Heat resistant up to + 250° see 3in1 RAL 9006, heat resistant up to + 300° C see 3in1 RAL 3009 and NITROFEST RAL 3009.